When creating an e-dealing, practitioners can use pre-set instrument lists for common transaction types to add instruments to the dealing. LINZ had identified a number of common transactions that, when selected, automatically retrieve the most likely instruments that would be required for the dealing. 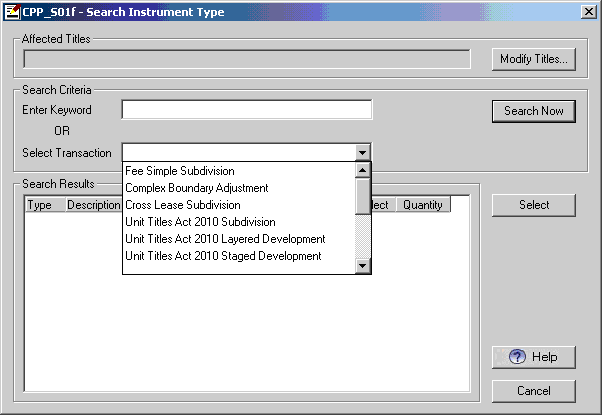 The practitioner can then select which of those instruments he or she requires for the dealing, and add any other instruments that are required. 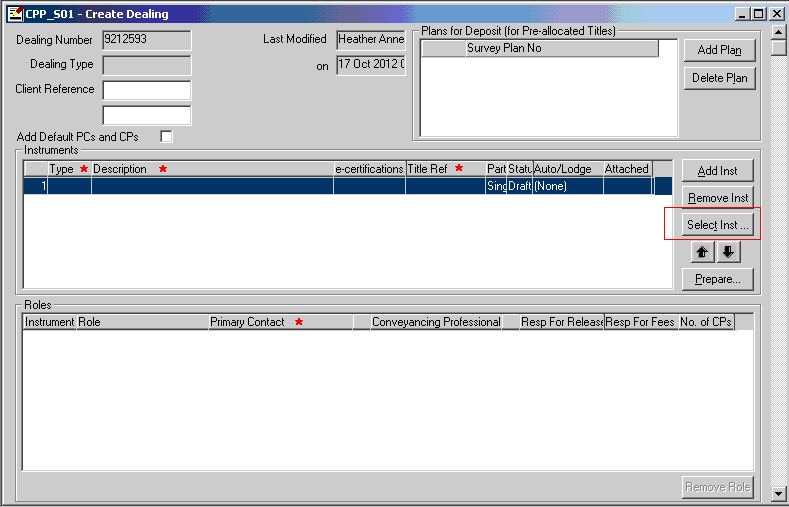 Use the Select Inst… button in the Create Dealing screen to open the Search Instrument Type screen. Use the Select Transaction type field to select the transaction that most closely matches the dealing you wish to create. 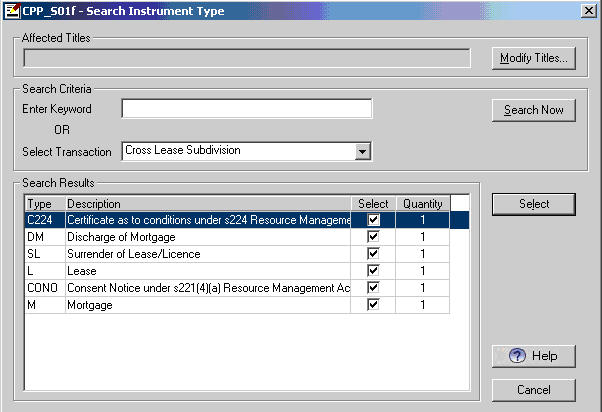 For example the transaction called "Cross Lease Subdivision" retrieves the following instruments: C224, DM, SL, L, CONO, M.
Cancellation of Unit Plans under s 177 Unit Titles Act 2010. Although most of the transaction lists will include C223 and C224 instruments, those instruments are not required if they have been submitted with the cadastral survey dataset (see Landwrap September 2012).